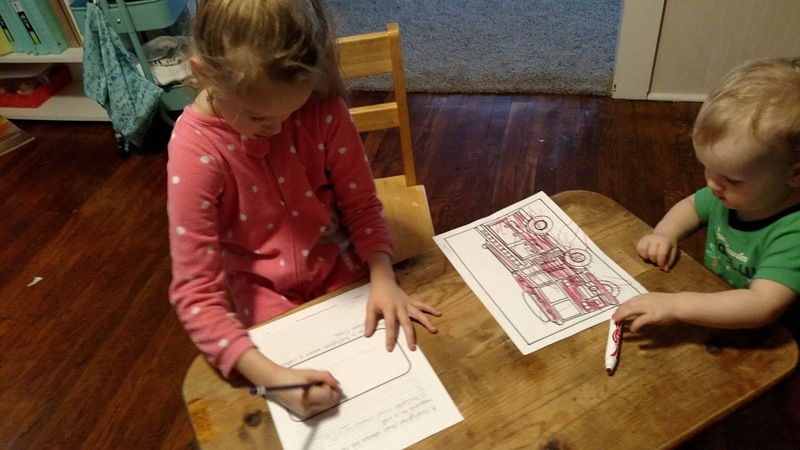 Do you have a little one who is eager to climb into a fire truck? Whether you have a little one who is filled with imagination or an older one who is trying to choose a career this ebook is a great tool to expand and explore the life and career of a firefighter. 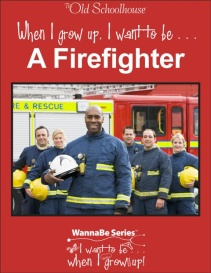 The WannaBe™-When I Grow Up I Want to be a Firefighter EBook is part of an 11 ebook series from The Old Schoolhouse Magazine, which focuses on several popular careers. So let me tell you a few of my favorite things about this ebook. First off it is jam packed with everything you could or would need. Over 70 pages! It's geared towards the 4-10 year age group but really even adults could use it. My kids are 9,5, and 16 mos and they all had activities to do. 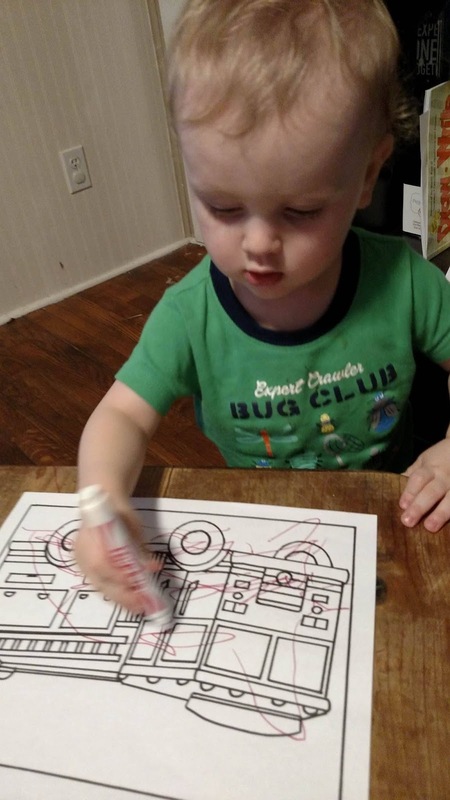 Yes,even the little one had his coloring page. I love that it covers every subject. We were able to skip a few of our normal subjects and substitute them with the firefighter themed one. It starts with the history of firemen, the gear they use, different jobs in the department and even has the educational requirements handy as well! It truly does hit on every subject it even includes a great science lesson about robots and a fun project to make your own robotic arm model. The vocabulary list included was one of my favorites we used it for the writing prompt pages and many of the activities we did. I also loved that they included memory verses and tons of games and activities too! In the very back of the book, there's even a list of additional resources full of books and websites you can use to further customize your learning experience. 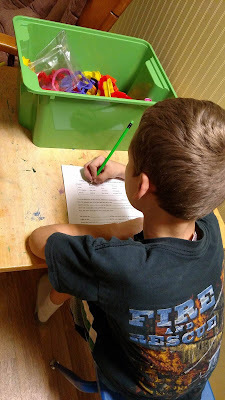 The kids loved pretending like building inspectors and the bucket brigade game the best! All in all, this was such a fun and easy ready to go lesson that allows you to just focus on the subject for whatever time period you choose & we cannot wait to start on another. I am doing this review on behalf of The Schoolhouse Review Crew If you would like to see more reviews like this please click here.